With over 10 years of freelancing, he greets each and every project with an intelligence that is creatively crafted to match your exact needs. His beliefs in zenful relationships to assure strong bases, invariably adding value and balance to your business while bagging your PRECISE visions. "great work! will work with again!" " He did everything we asked in a timely matter. I will definitely be recommending him to other companies. Thanks for such good work. " "Amazing work, I would highly recommend." "Good ideas and designs, though not matched deadline." "Great work as usual! Highly recommended!" "Great and timely work as usual!" "Anton is at true talent and professional. He is always available to answer questions and make any necessary revisions. Highly recommended." "As always, Anton delivers great work! Have already worked with him twice, will be going back to him again for any new projects." "Anton went above and beyond to make revisions and modifications, offer additional versions, and make 100% sure we were thrilled with the results. " "Anton completed this last minute request quickly and beautifully! Thank you Anton. " "Amazing designer. Anton went above and beyond our expectations, and delivered the project way before deadline. Very professional and great communicator. Would love to work with him again!" "As usual Anton's work is excellent and he goes above and beyond to integrate feedback, provide advice and generally make sure we were 100% happy. " "Anton was as great for our one-to-one project as he was for our contest. Totally satisfied and impressed with the work quality and work ethic!" "Anton was incredible. So talented, super responsive and thoughtful. I will definitely work with him again!!!" "Anton was a pleasure to work with!" "We chose Anton as our contest finalist and he was perfect to work with. 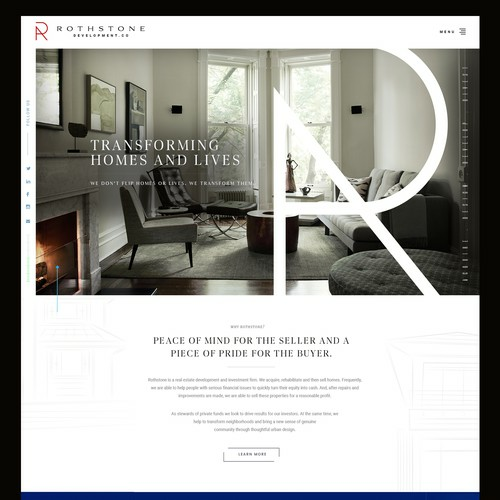 Always very responsive and fast in turnaround, gave great input as a senior web designer (which helped me a lot as a rookie in this field) and the site was more than we ever wished ..."
"Time and time again, Anton outshines the other designers!" "Anton is the best, hands down!" "With every project you accomplish with this man you love him more and more ❤️"
"Anton always does a good job for me." 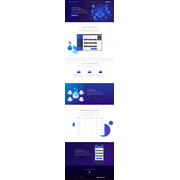 "Working with this man was a great honor"
"Great designer, beautiful project and understands what we want quickly and well"
"Great design work, took the time to understand the brief and went above and beyond in delivering robust page formats. Very impressed." "Anton was the clear winner of our contest. He developed a good understanding of our company and needs in a very short time frame and came across with a state-of-the-art design. His communication style is professional and he has a very good level also of..."
"Anton has been great to work with - he takes his time with designs to get them right, ensures he incorporates your feedback, and still maintains his own voice throughout the process. He was easy to communicate and collaborate with - I'd definitely work..."
"Anton knows his stuff! Great experience, highly recommended." "great work and very reponsive"
"As always, pixel-perfect design and fast work. " "Awesome work from Anton once again. Can't recommend enough. " "Anton, is an incredible web designer, with talents that are very hard to come by. I am beyond amazed with the type of work and designs he came up with on our extensive website. He truly went above and beyond everything we required to fulfill the project..."
"Anton is a superstar, great design, great UI, super responsive. Looking forward to working with him again in the future." "Anton is an outstanding designer. His designs are clean, smart, vibrant and modern. He's easy to communicate, and understands requirements perfectly from the first time. He also gives consturctive feedback. I'll bring on Anton on every project that need..."
"First time I used 99D. All of the finalists were excellent. However the colour palette, attention to detail and very fast turn arounds clinched this for me. Well done. " "Anton did a great job putting together a really effective and clean design. He was always super responsive to feedback, and came with some nice UI ideas as well. We were really pleased with everything about the process. Really highly recommended!" "Amazing work, amazing communication, amazing turnaround time on changes! Thank you Anton!" "Thanks for your dedicated work!" "Thanks a lot for the creativity..."
"Anton is a very helpful and awesome designer! I have worked with him on multiple projects." "Thanks Anton, you have a golden touch!" "Highly Energy, works hard and goes well beyond expectations. Anton is a pleasure to work with. I can always count on him to exceed my expectations." "Extremely thoughtful, proactively researches and narrows down choices to a subset of good options, and provides excellent guidance. Highly capable and flexible designer!" "Excellent designer, very committed to meet all the expectations from the project." "Highly response, creative, and innovative. Anton is a pleasure to work with and a very talented designer." "Anton was great to work with, and provided all files at the end of the project. " "Excellent ! Very nice person and hard worker"
"Anton is by far the most talented designer I have ever worked with which is why we have worked together several times and I will continue to work with him:"
"Anton's work is incredible and he goes out of his way to make it the best possible. " "Always a pleasure working with Anton. Very talented individual." "Anton works very dedicated and has great design ideas! Also the communication and feedback was very good! I hope to work together with him on other projects." "Great experience and follow up." "Second project working with Anton and looking forward to the next. Very talented and will make you wonder why you have worked with anyone else." "Anton does excellent work. I always look forward to communicating with him." "Anton is easily and decisively the best freelancer I have ever worked with." "Awesome work yet again. " "Anton did an amazing job. Would HIGHLY recommend"
"This is our second project with Anton, and he has done an amazing job both times!" "Anton is the best designer. So kind and helpful. Knows a lot about UI/UX. " "Website coding and content placement. Great job"
"Anton is a great guy, works fast and is very helpful. Makes all the changes and enhancements very quickly. Will work with him again." "Amazing designer who is very reliable and will get the job done better than you even expected." "Anton was awesome! ANYTHING I asked to have edited, he did immediately. Would highly recommend him to anyone looking for a designer"
"Best designer to work with!" "I submitted a contest for a one page website design. I had about 80 entries overall. Anton went above and beyond what I expected. He was very kind and communicated very well. His design was simply amazing and he was up against several other awesome desi..."
"Anton has a great deal of technical knowledge, which allows him to make smart and intuitive design. It's a big advantage to understand both sides of the coin. Anton is talented, responsive and a pleasure to work with."